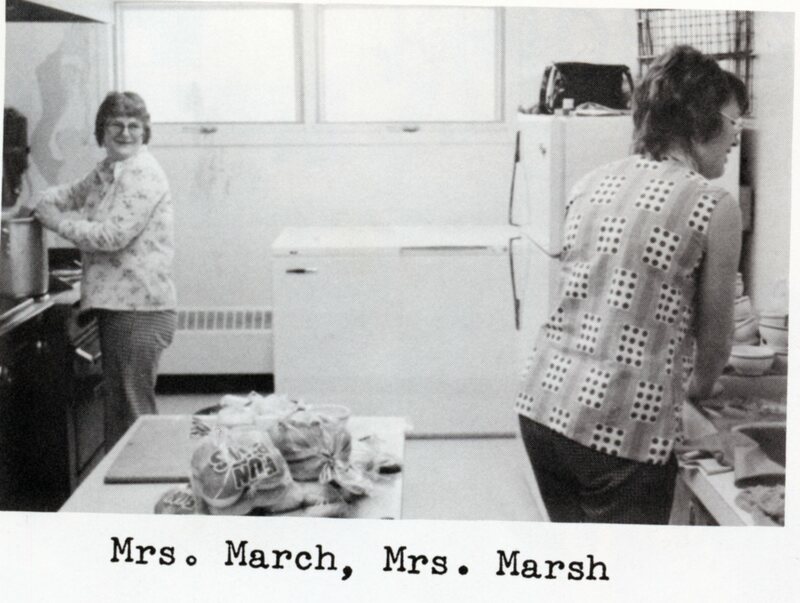 When the “new” school opened up on Random Island, it had a cafeteria for hot lunches. For those of us who had bussed it to Shoal Harbour before this was something new, we had only had the lunch can before that. Those who had gone to school in their local one rooms, in all likelihood, went home to lunch most days, so was new to them too, though hot lunches may not have been. Now to be fair, the dreaded goulash is just my opinion, lots bought it every week or second week or whenever it came up, but to me it was (and is) disgusting! Back then we called it Hungarian Goulash, and it was something at the time I had never heard of. So I was kind of excited in my 10 year old way to try some. Well lets just say its not an experience I want to repeat, I’ve never been fond of any ground beef dish that’s not been “formed”, e.g. : meatloaf and burgers, so once I saw what it was and tasted, I think that may have been a lunch-less day. To this day I am still not fond of hamburger helper, sloppy joes, or any other dish of that ilk. But while that memory stands out, there were a great many days when there was chicken and fish and other things I did enjoy, and I remember the line-ups being really long any day we had chips (fries). I especially loved the fish sticks, it doesn’t seem the ones you get nowadays taste the same. Its too bad kids of today can’t get those hot lunches, but I’m glad we did, and look fondly back on them. Thanks Nine and Glad! Fish n Brewis Why’d You Play the Left Bower There?? !